of Chabad and more. It is funded by the SichosOnline members / community. Answers to hundreds of frequently asked shailos. The information is updated daily. 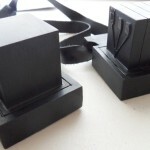 This is a special bonus exclusively for sichosonline.org supporters / members. Explore the SichosOnline community here. Who gets first priority on choosing a name for a baby – the father or mother? My son is going to camp 2 days before his Bar Mitzvah. Can we make the party a week in advance? What are the chapters Tehillim that the Tzemach Tzedek told his children to say while his Rebetzen was in labor and delivery? 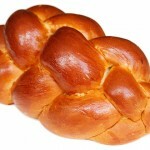 I am gluten free and when I have wheat challah on Shabbos I get sick. What’s should I do? 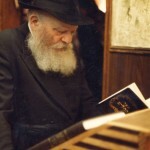 Rabbi Levi Yitzchok Garelik was born and raised in Milan, Italy (he is a very proud Italian), where his parents were sent by the Lubavitcher Rebbe in 1958. He received Yore and Yodin from Rabbi Pikarsky (privately) at the Central Lubavitch Yeshiva. He received shimush for many years from Rabbis Marlow and – יבדלח”ט – Osdoba and Heller (of the Crown Heights Bais Din). He served as spiritual leader of Lubavitch Congregation in Boston and as a Rabbinic coordinator for OK Kosher certification. 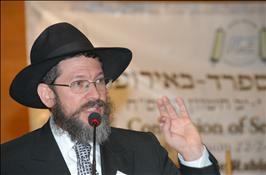 Currently, Rabbi Garelik serves as spiritual leader of the European Synagogue, right across the EU, in Brussels, and lectures extensively around the world.Rabbi Garelik has edited many halachik works, including the highly acclaimed “Kitzur Dinei Tahara,” and his “Guide” vol.1 (lifecycles) and “Guide” vol. 2 (Aveilus). To read more about Rabbi Garelik click here.